LAKME Salon - Luminance 3+ Facial Experiential | The Shopaholic Diaries - Indian Fashion, Shopping and Lifestyle Blog ! It was a lovely weekend for me as I went for dinner with a friend at the Punjabi By Nature (their Kababs are a must-have, they are really sumptuous) restaurant on Friday, shopped at ZARA & Forever21 and had my favorite Starbucks coffee on Saturday, and relaxed at home on Sunday. Hope you all had a nice weekend too. In today's post I am going to write about the experience I had a couple of weeks back at the LAKME Salon at V3S Mall, Nirman Vihar (East Delhi). I went there to experience the latest offering by LAKME - Luminance 3+ Facial - which they claim is a three course French Treat for your skin. "This revolutionary skin care facial is specially created keeping in mind the intrinsic needs of contemporary Indian women. These women are always on the go and exposed to heat and pollution that result in dull and damaged skin." You have to take a prior appointment to get this facial done from any Lakme Salon near your home, the nearest to my home is the one at V3S mall. This was the first time I was visiting this particular salon and I was really impressed with the interiors and salon staff, as generally this mall doesn't seem too attractive to me, except for the MAX store there. The sweet beauty expert who was assigned to do my facial discussed with my about my skin problems and what should I expect from this facial. My facial was done in this cozy and quiet room. The facial was of a duration of 90 minutes which started with cleansing of my face to remove all the dust and makeup and then toning. It was followed up by exfoliating with scrub, steaming on my face, and removal of blackheads and whiteheads very gently. The main step included application of a serum and its deep penetration to the skin using a digital ultrasonic machine. Next was the application of a skin-lightening face mask, toning and finally applying a moisturizer. The products used were from a private label which are available exclusively at LAKME salons. The massage included in the ritual helps the products penetrate deep into your skin to ensure maximum impact and its de-tanning properties helps one get rid of the tan. The facial was also focused to even out my skin tone especially at the forehead and cheek area. The facial also included a 10-15minutes back massage which really calmed me down as I had went there straight from work and it was the much needed relaxing break for me. After the facial I was advised to avoid sun for a week or wear a lot of sunscreen. I was also advised not to wash my face for 12 hours and not wear any makeup for 24hours. And as I was going to my home the very next morning, I decided not to wear any makeup for atleast 2 days. The above picture was clicked after 2 days of getting the facial done, and you can see an improvement in my skin tone and a fresh glow. Overall, I am really impressed by this facial and I think one can get it done once in 2 months to get rid of any tan, blemishes etc. caused due to heat and pollution, and to instantly get a healthy glow and even skin tone. 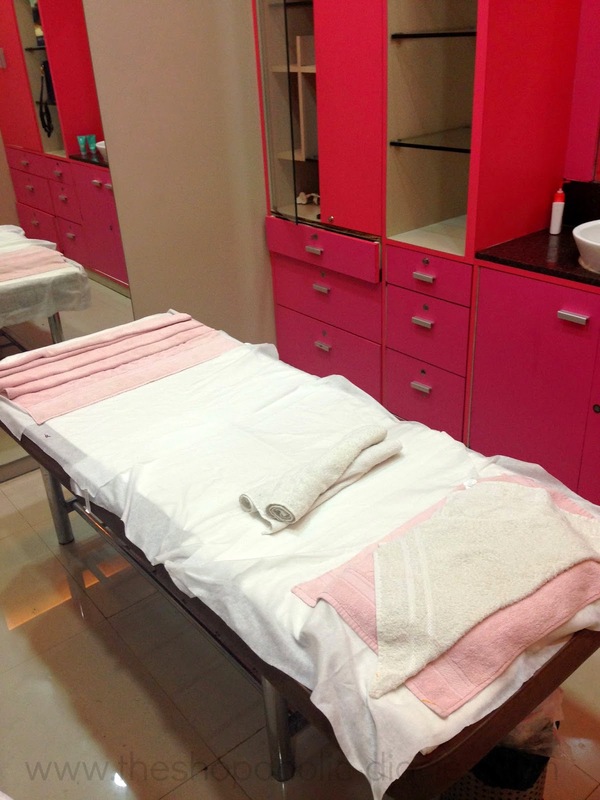 Have you ever tried Luminance facial before? If yes, share your experience with me in the Comments below. I've heard it costs as much as Rs. 4700 plus. You must have a great job if you can afford it once in two months!